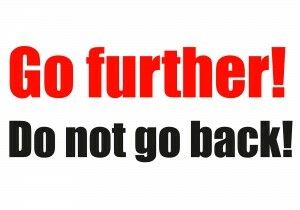 14.11.2018: Austrian proposal is against mobility in the EU! 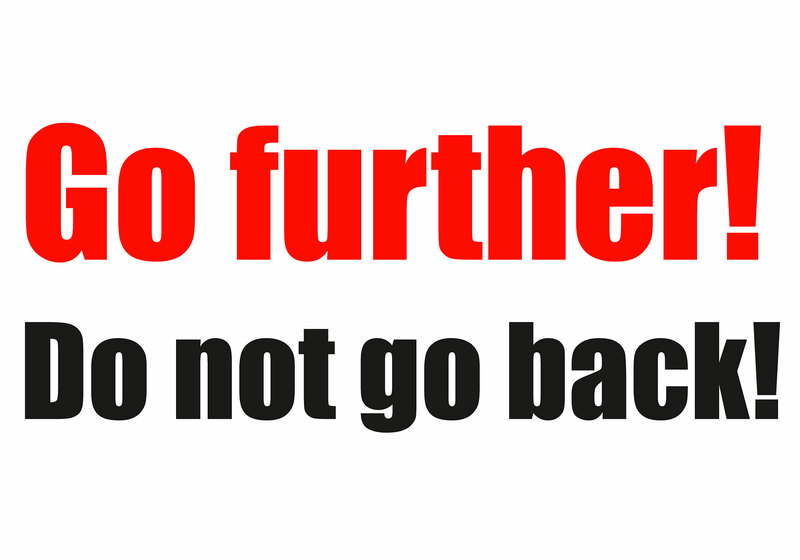 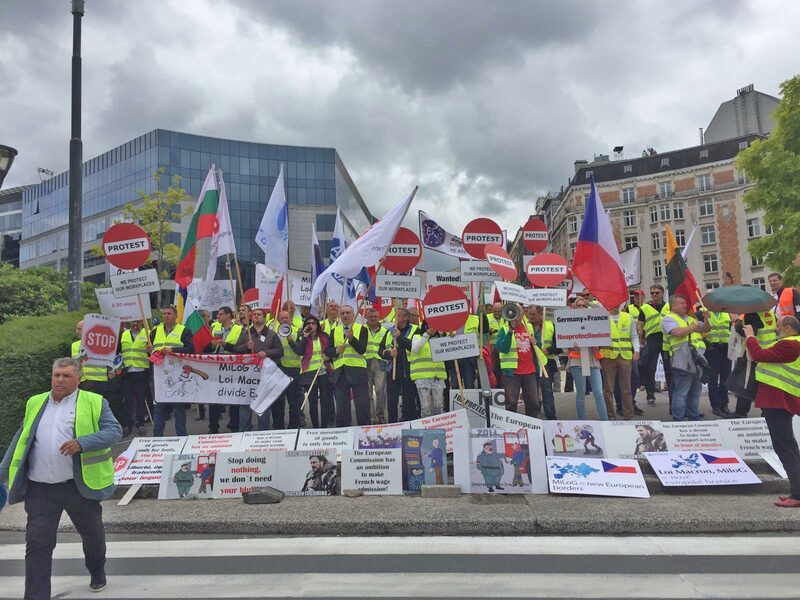 Stop Austria building new walls in Europe! 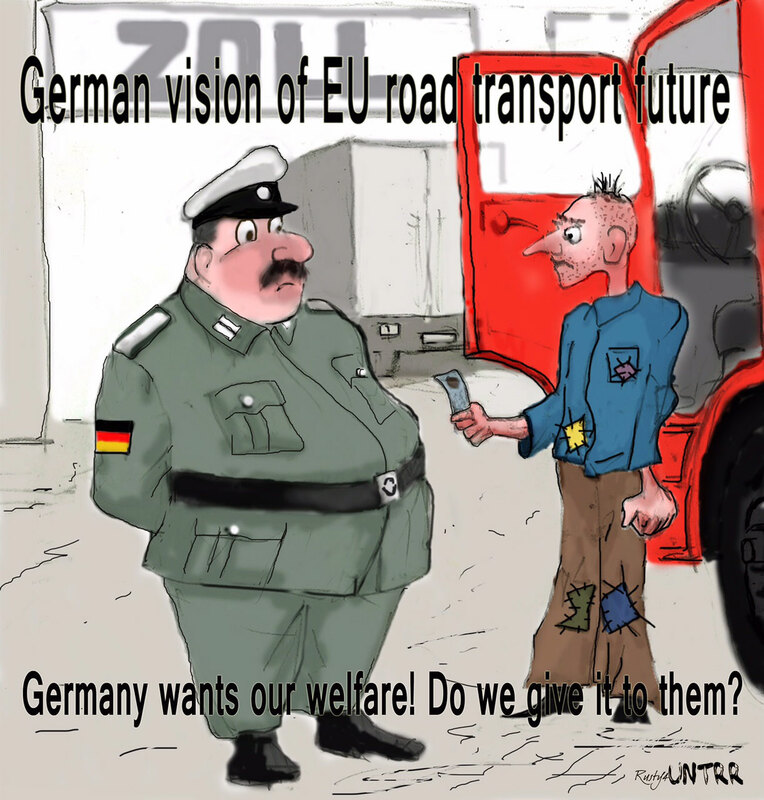 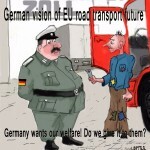 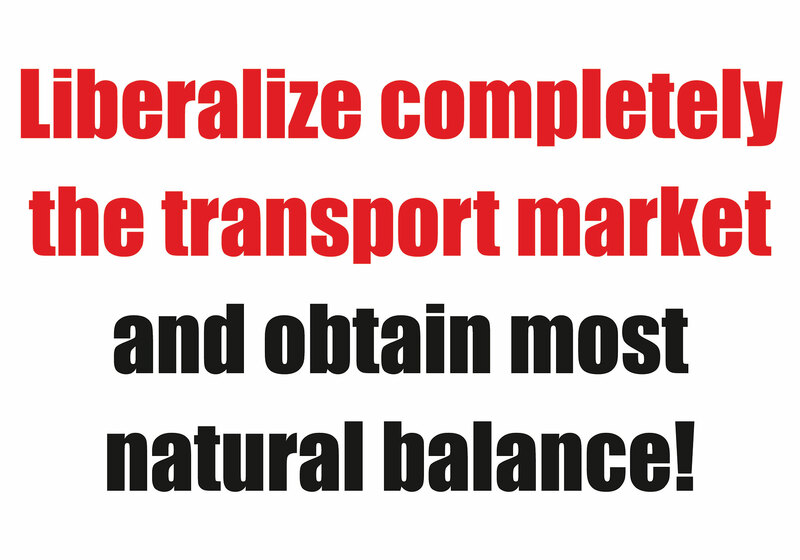 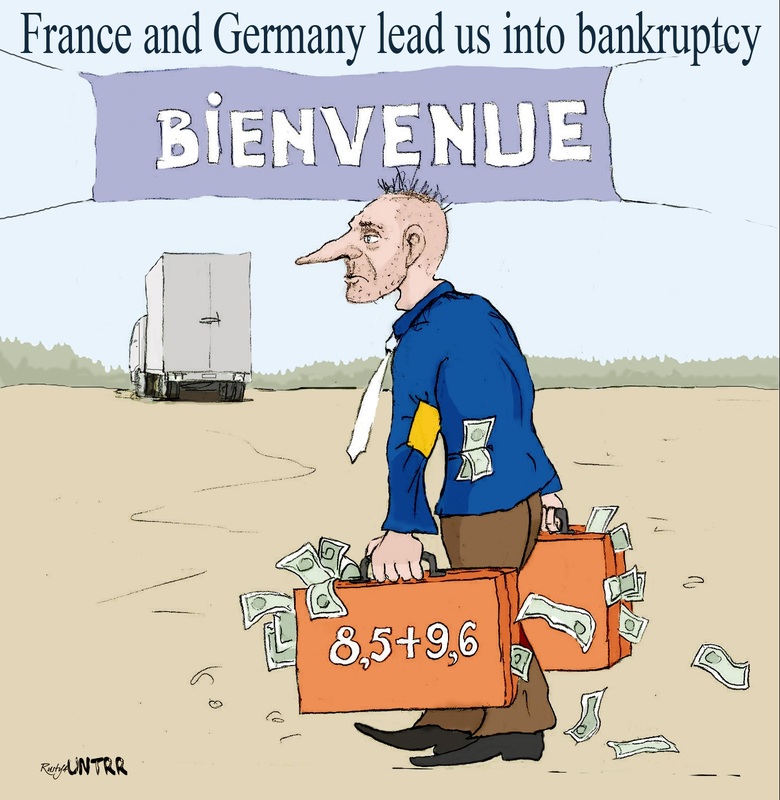 18.05.2018: Road transport at the crossroads where is the EU heading to? 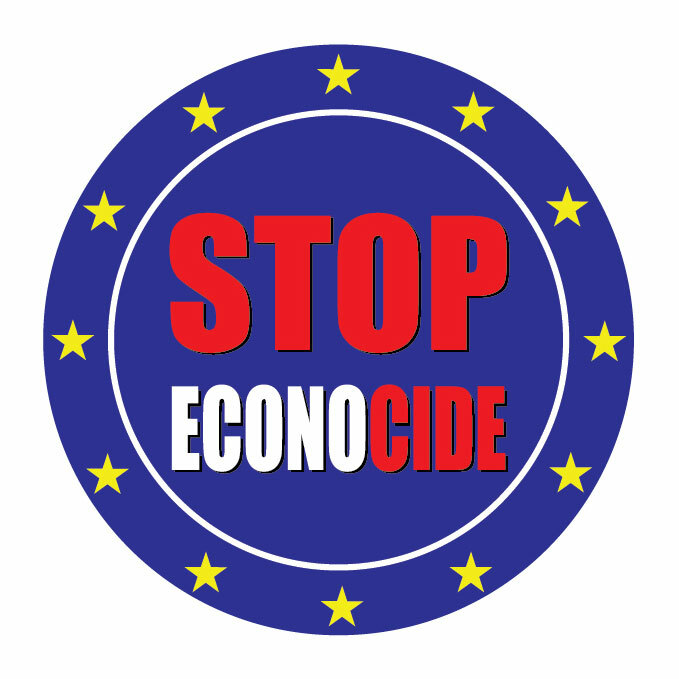 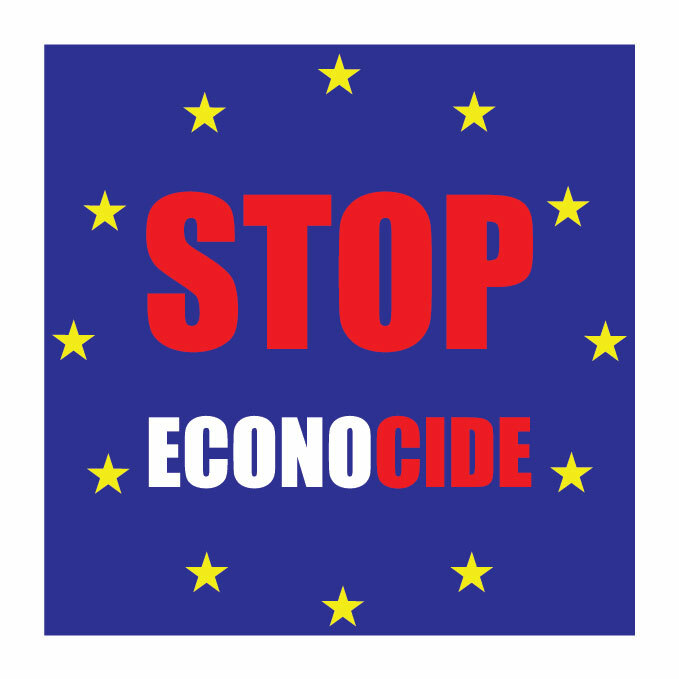 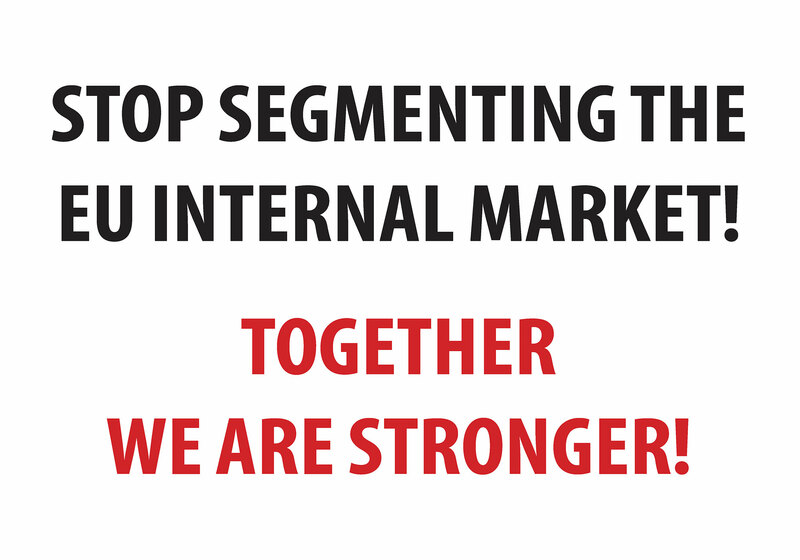 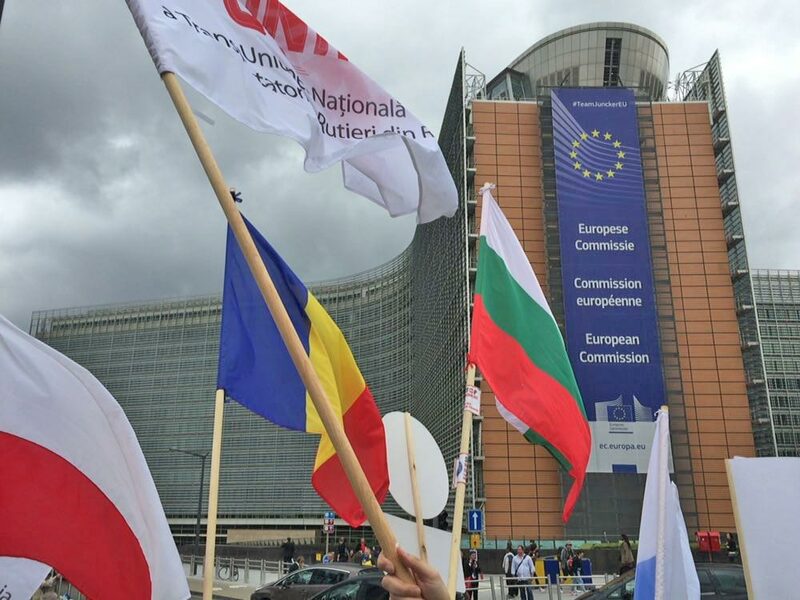 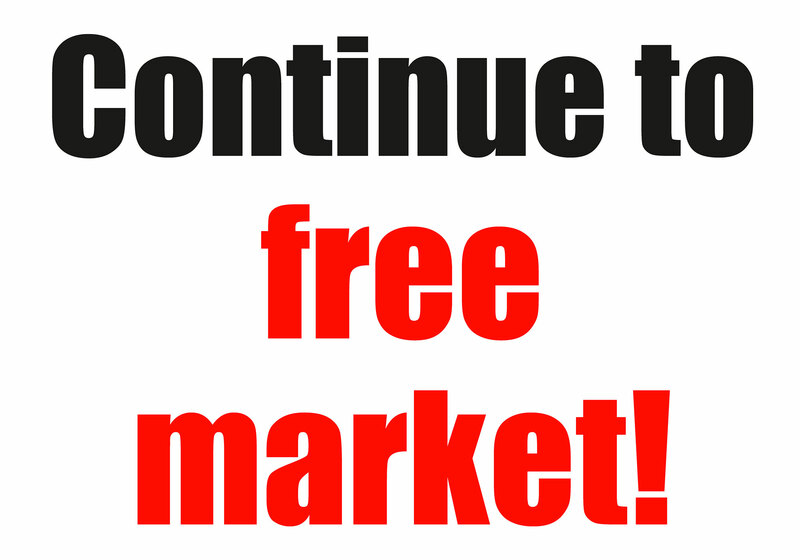 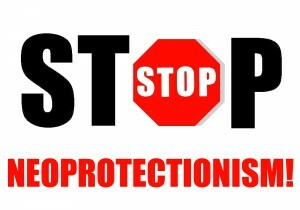 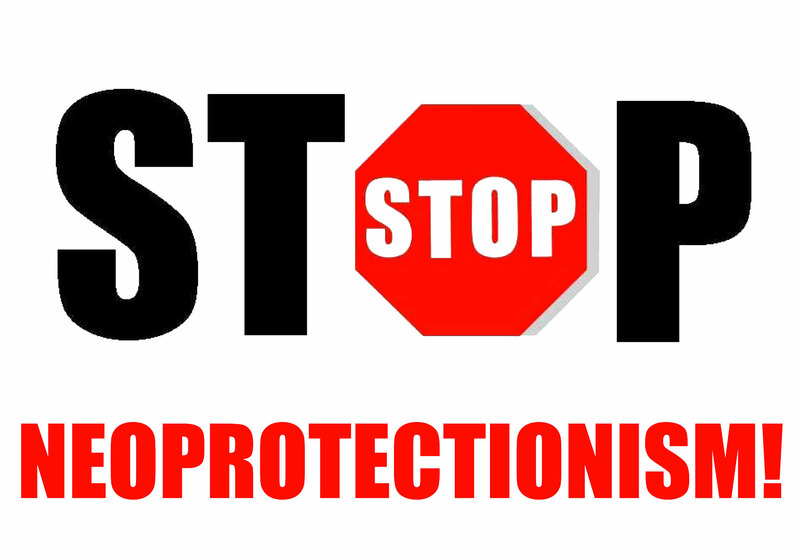 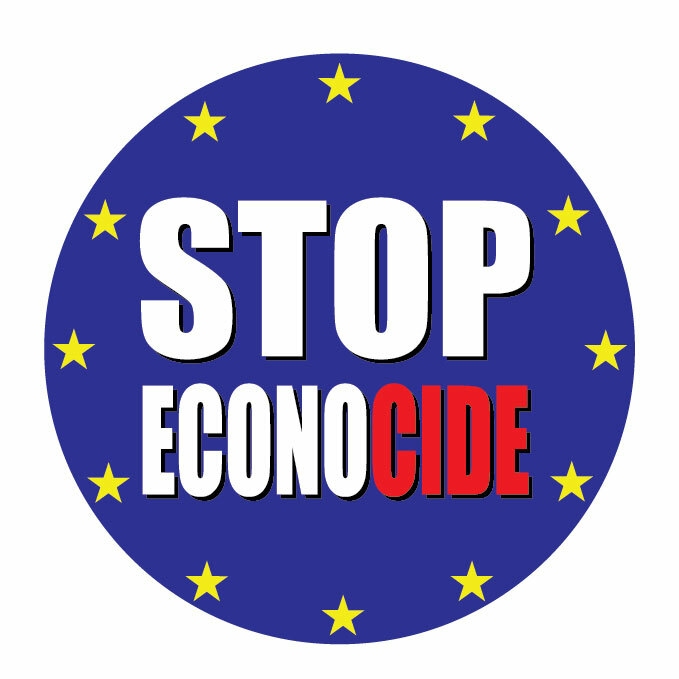 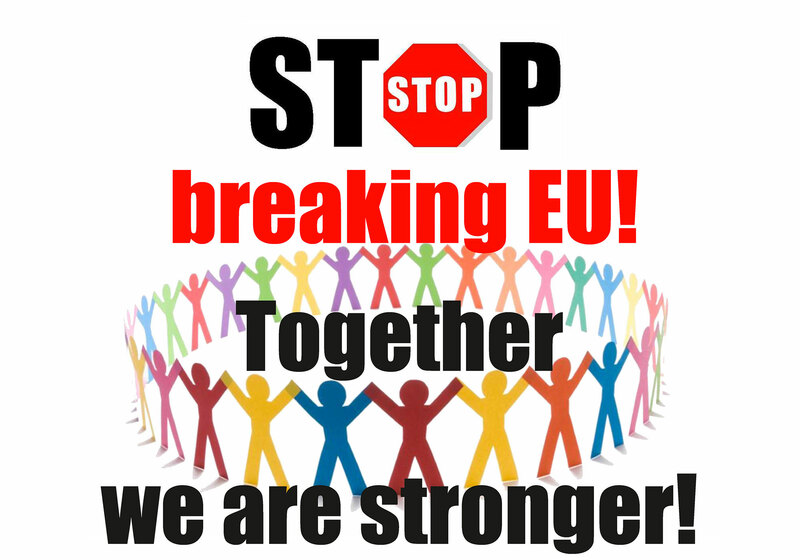 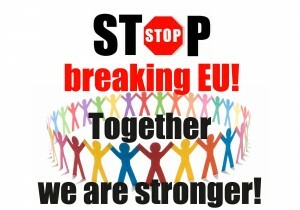 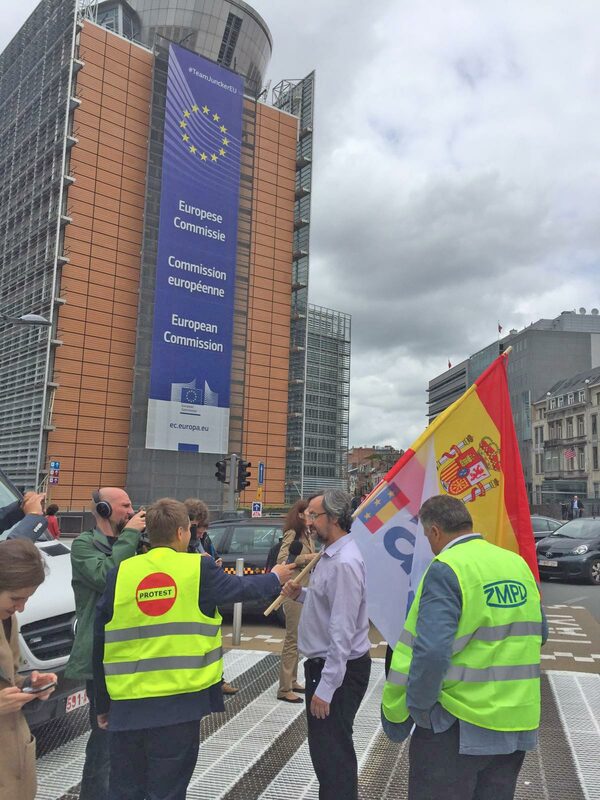 14.06.2016: The common protest in front of European Commission – asking for action against neoprotectionist measures of member states like France and Germany! 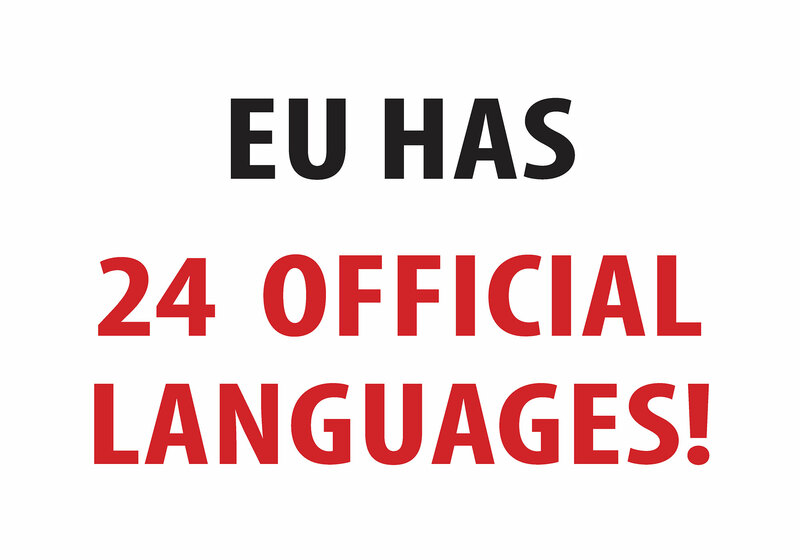 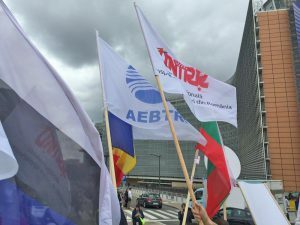 31.05.2016: Joint RESOLUTION addressed to Mr. Jean – Claude Juncker, President of the European Commission and to Mr. François Hollande – President of France by ANTRAM (Portugal), ASTIC (Spain), AEBTRI (Bulgaria), CESMAD BOHEMIA (Czech Republic), CESMAD Slovakia (Slovakia), ERAA (Estonia), LATVIJAS AUTO (Latvia), LINAVA (Lithuania), MKFE (Hungary) UNTRR (Romania) and ZMPD (Poland). 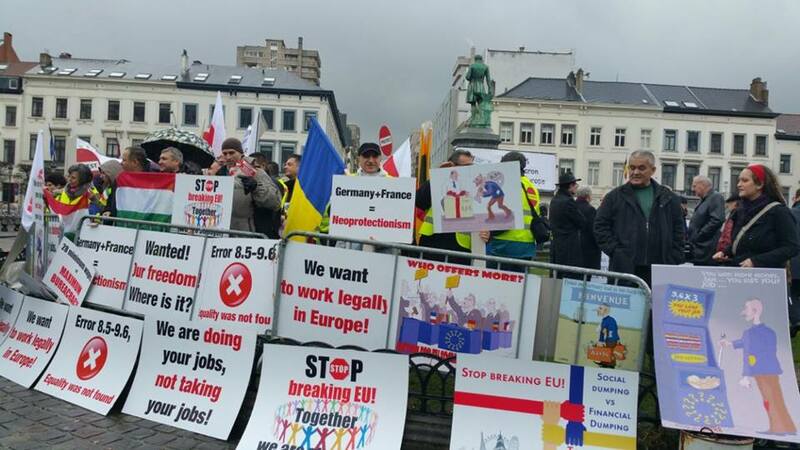 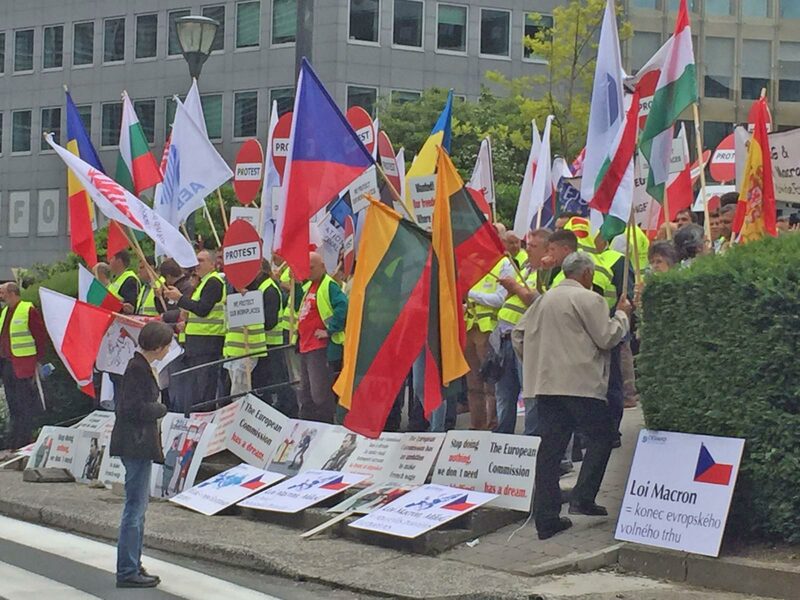 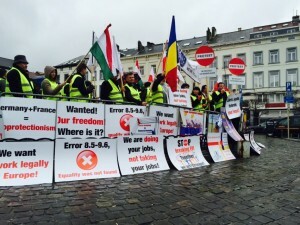 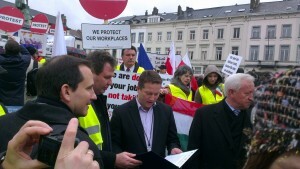 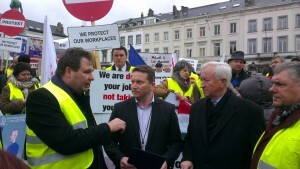 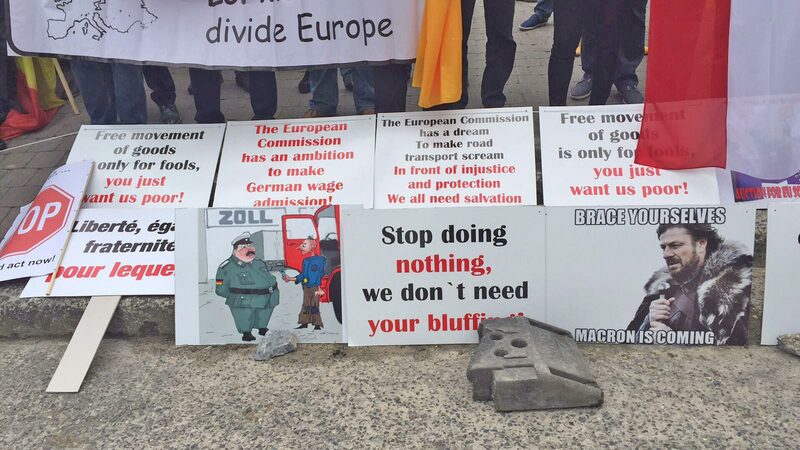 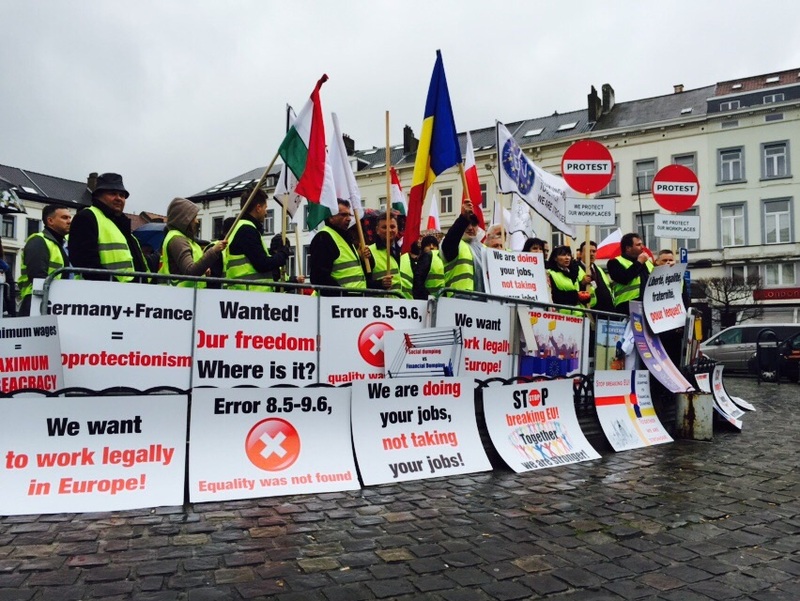 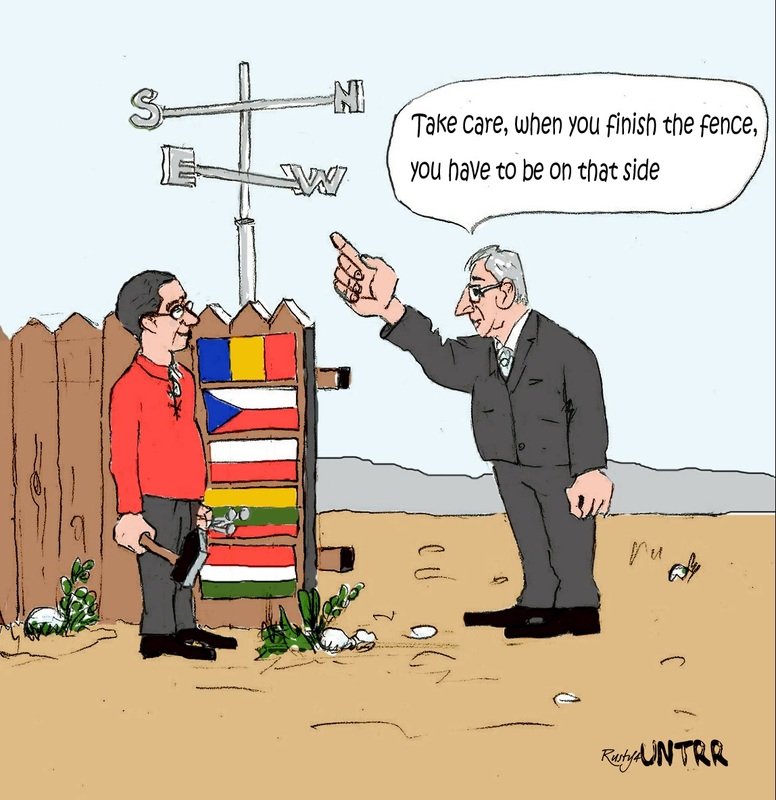 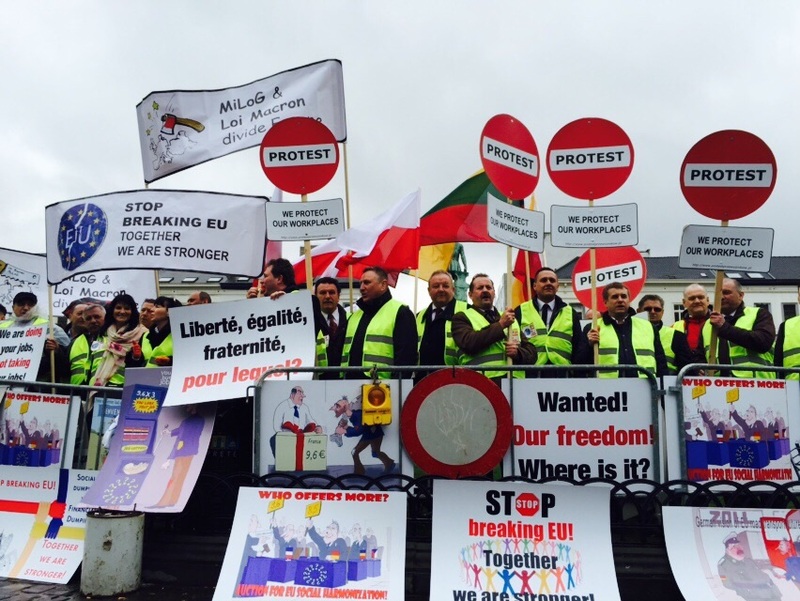 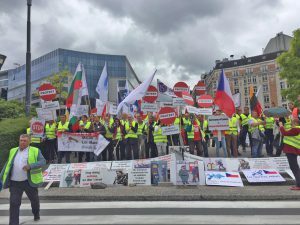 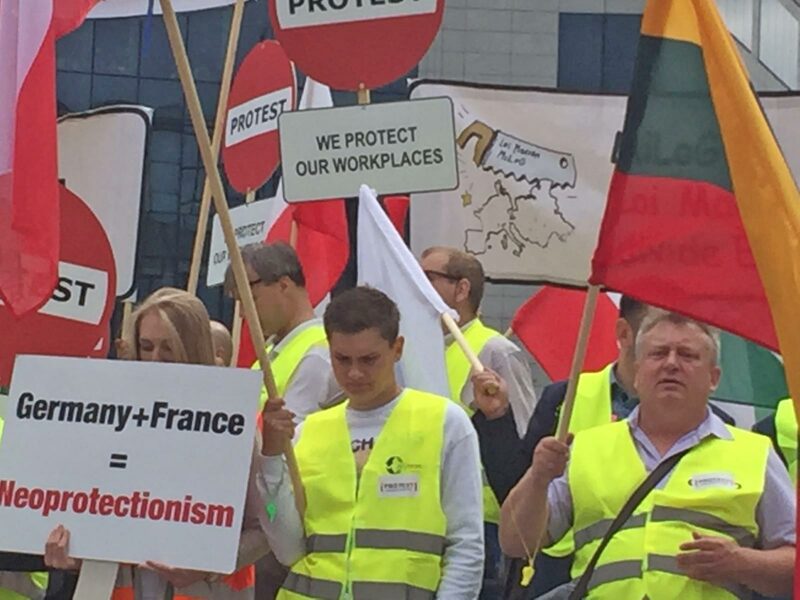 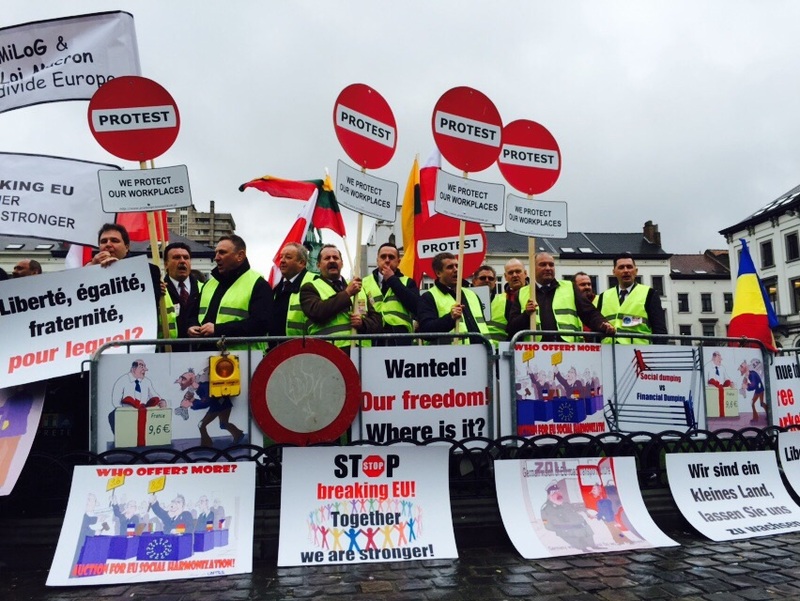 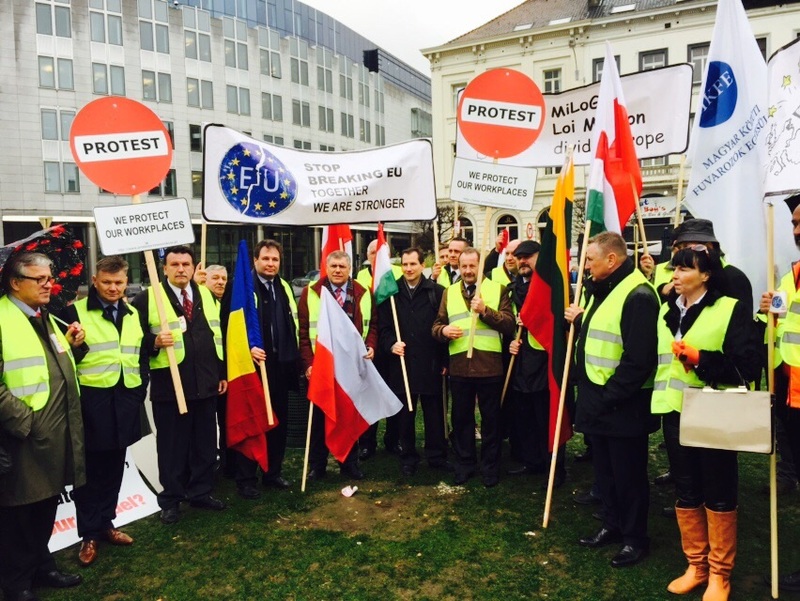 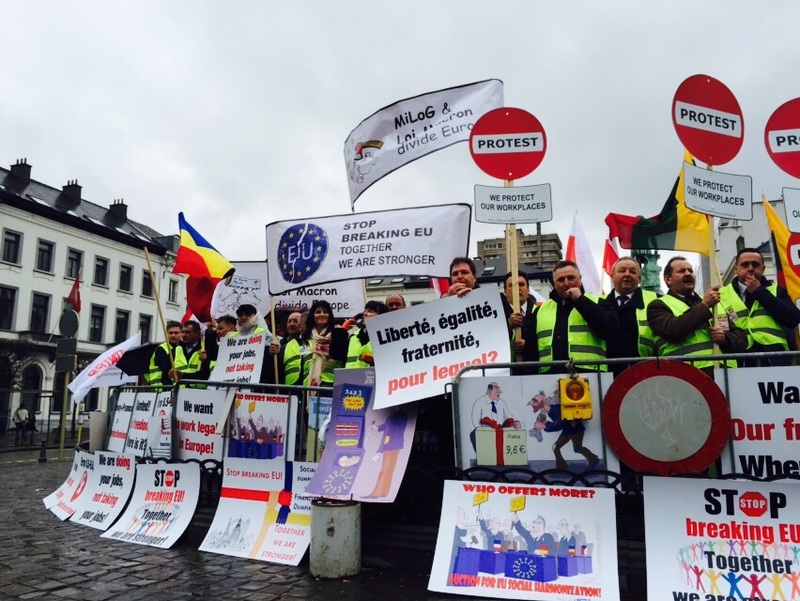 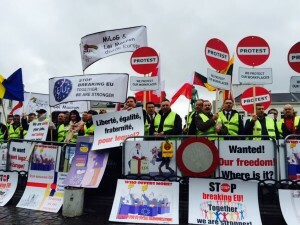 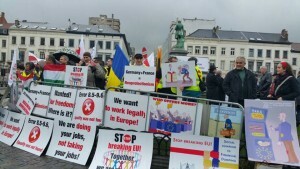 25.03.2015 MKFE, UNTRR, ZMPD, CESMAD Bohemia and LINAVA – transport associations from Hungary, Romania, Poland, Czech Republic and Lithuania – protested together today against neoprotectionist measures like law MiLoG and law Macron, in front of the European Parliament, Place du Luxembourg. 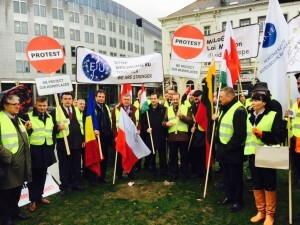 The associations signed a joint petition which Mr. Radu Dinescu handed to Mr. Istvan Újhelyi – Vice-Chair, Transport and Tourism Committee, European Parliament, in front of the protesters. 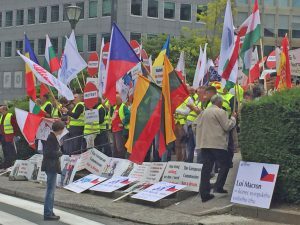 MKFE, UNTRR, ZMPD, LINAVA and CESMAD Bohemia organize a common protest in Brussels against neoprotectionist measures like MiLoG and Macron. 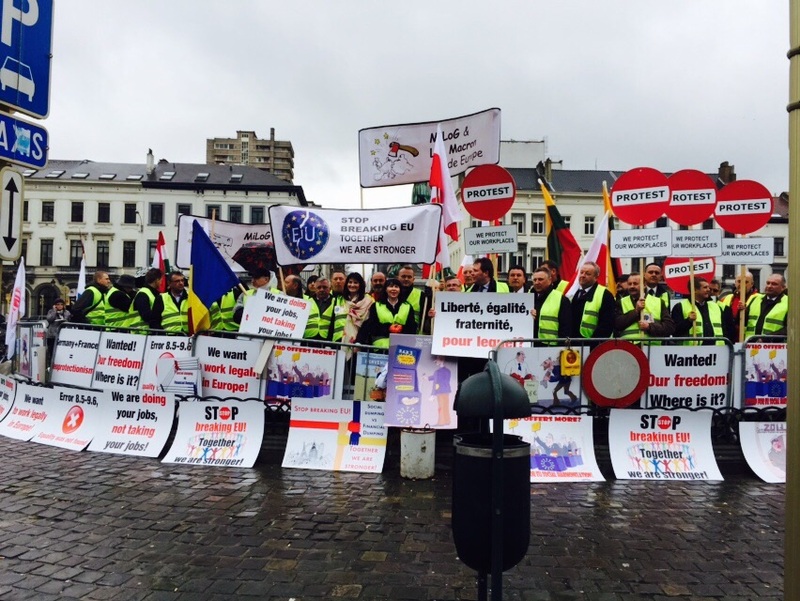 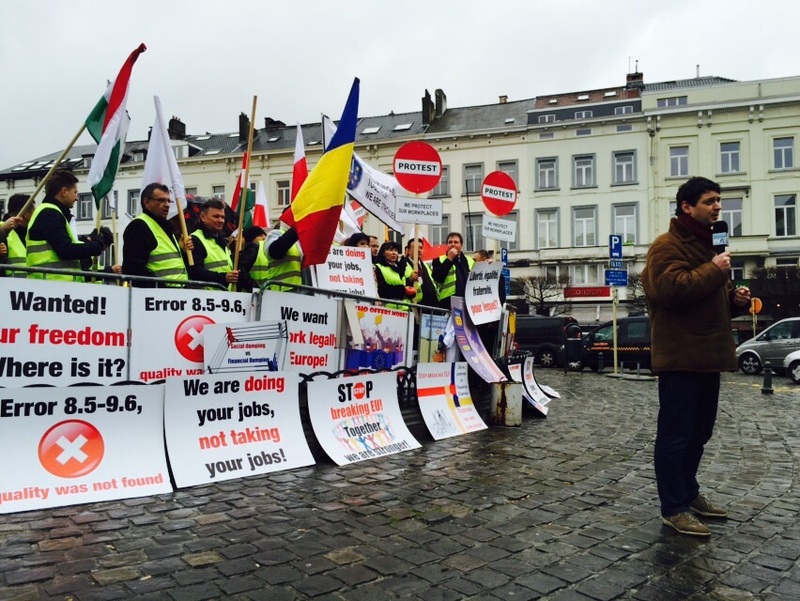 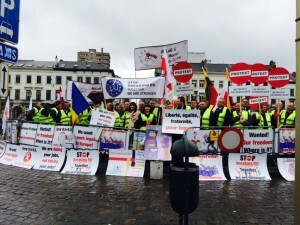 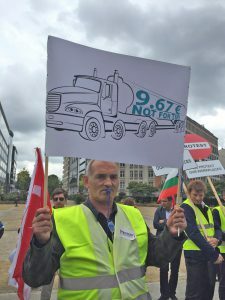 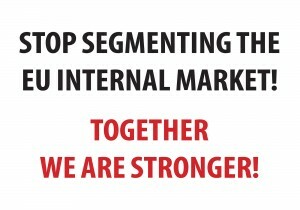 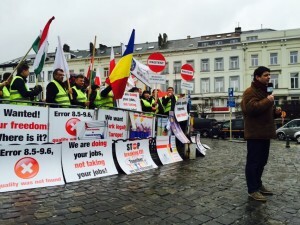 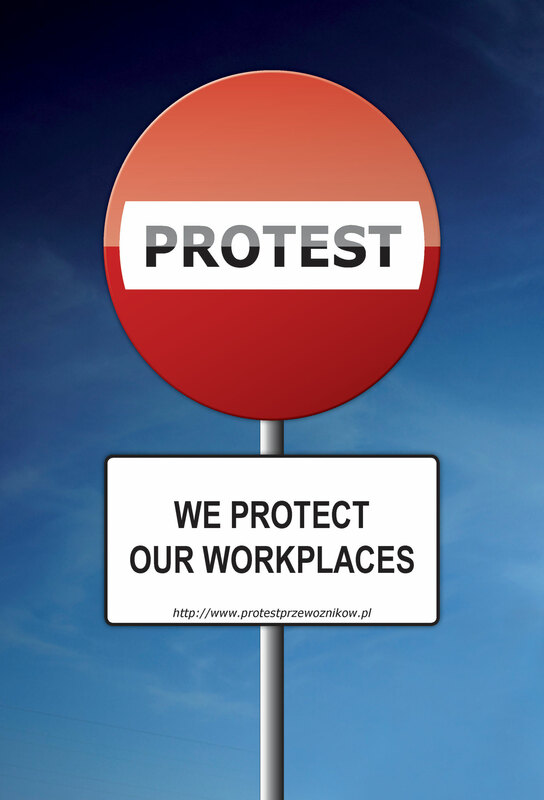 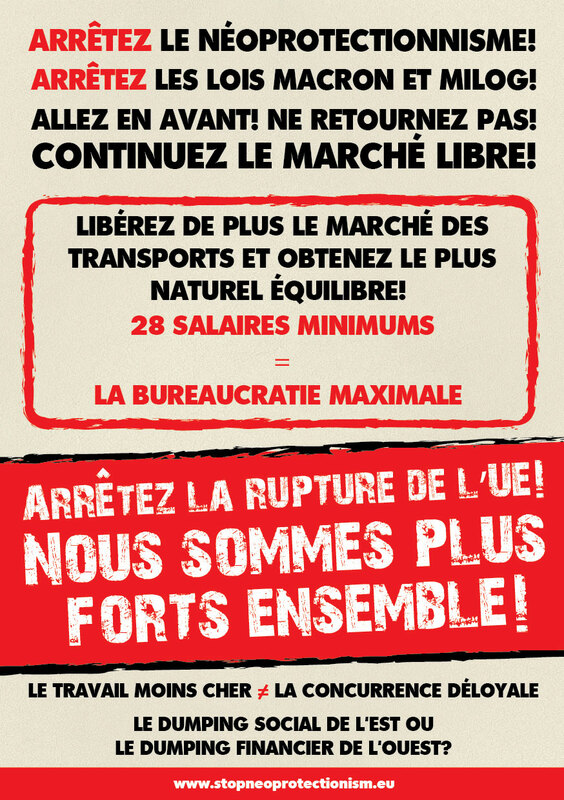 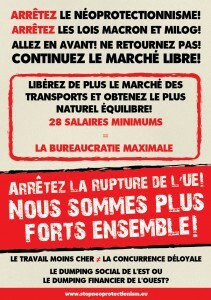 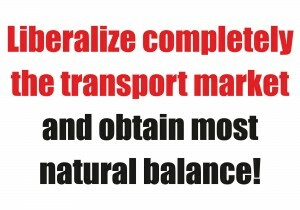 The National Union of Road Hauliers from Romania (UNTRR) has obtained the approval to organize a protest in Brussels on 25 March 2015 from 14:00 to 16:00 (local time) in Place du Luxembourg, in front of the European Parliament (PE). 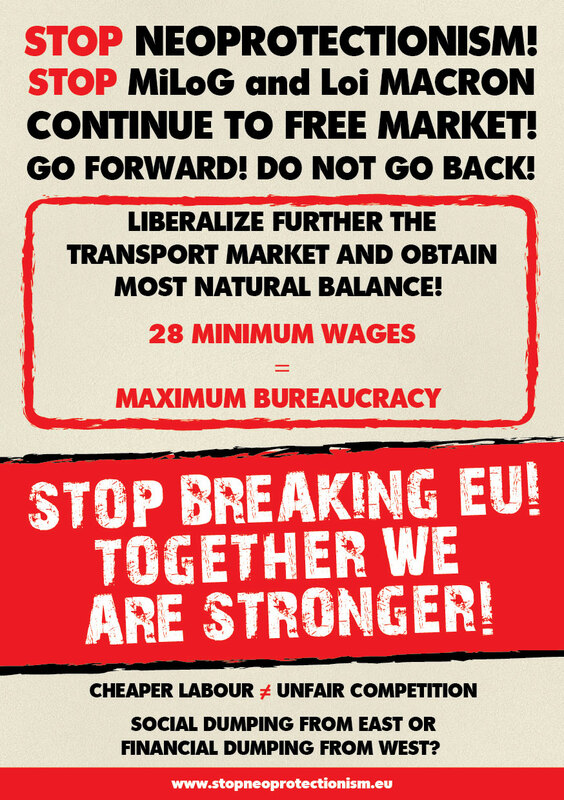 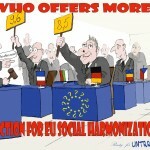 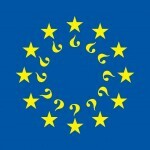 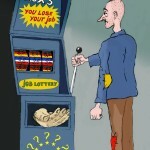 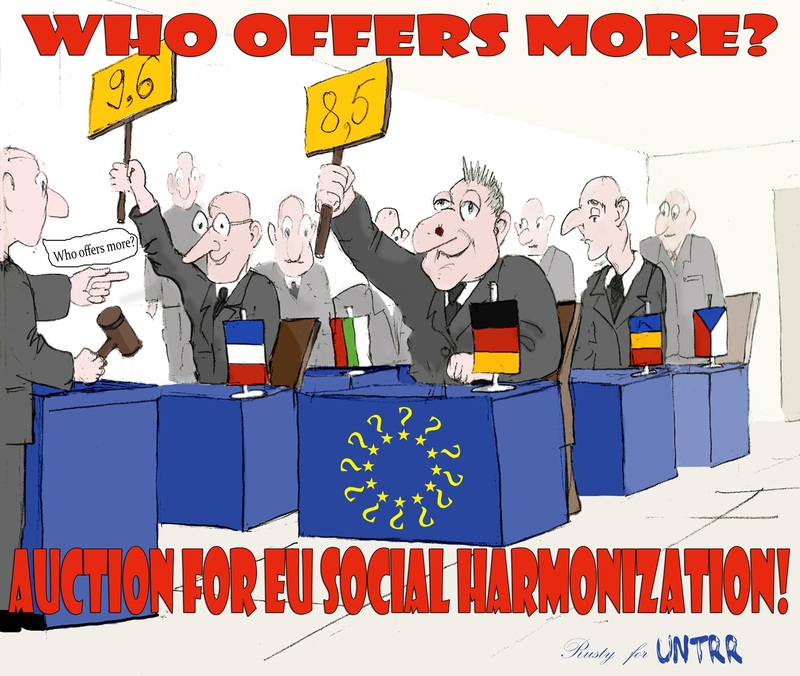 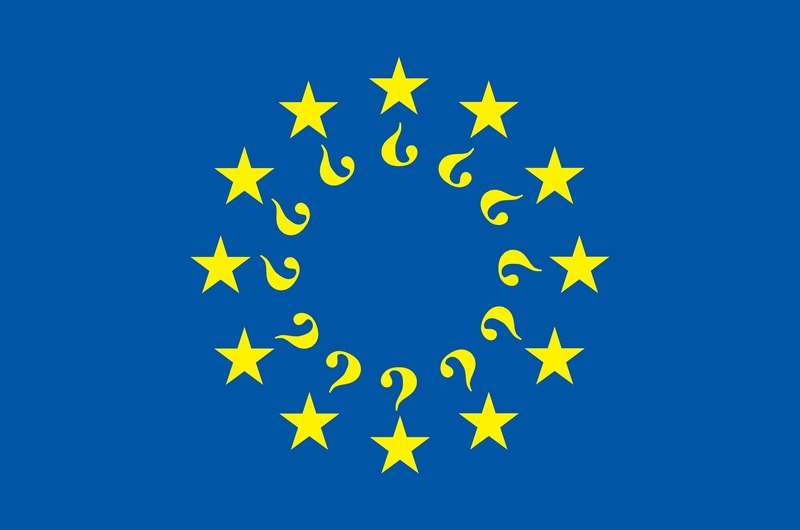 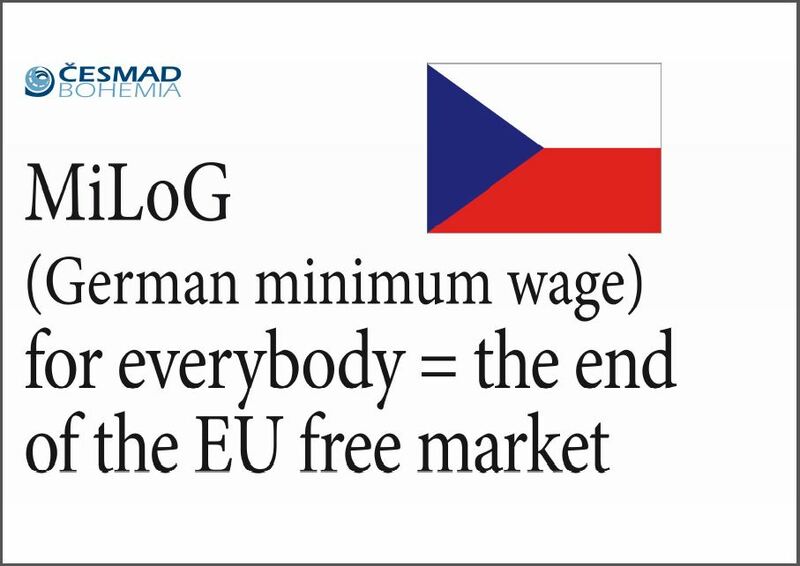 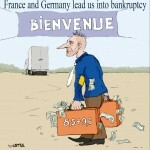 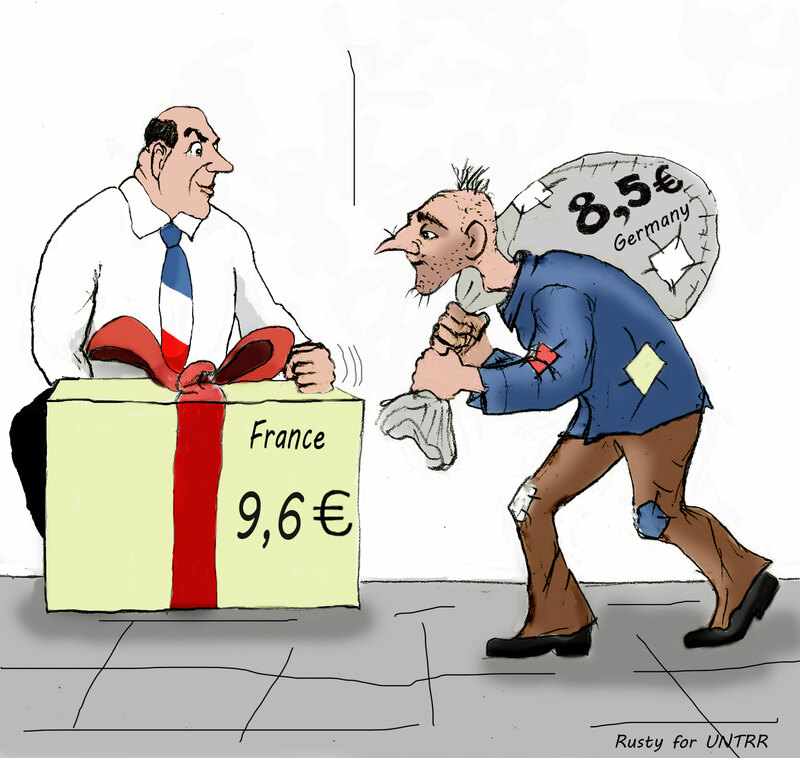 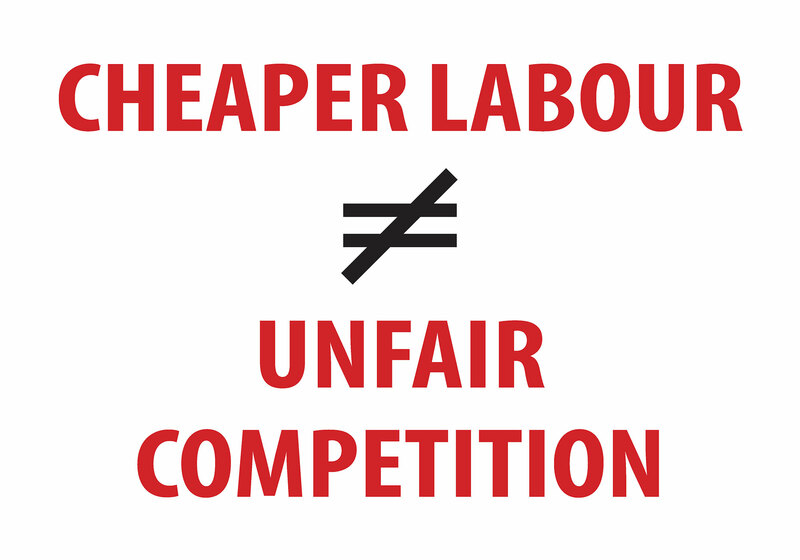 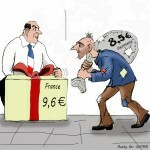 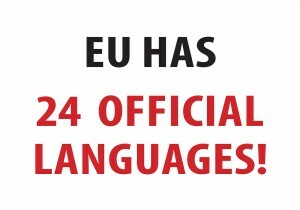 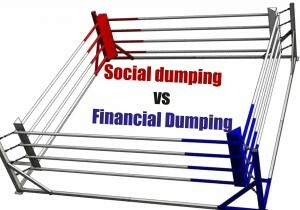 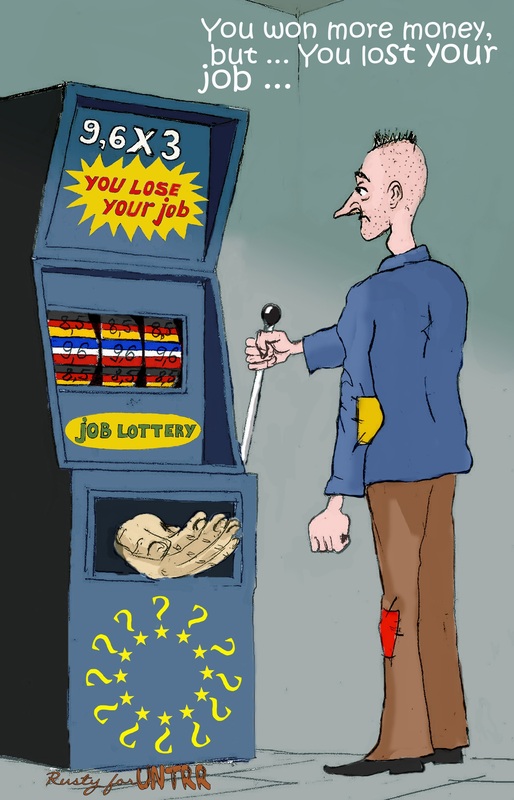 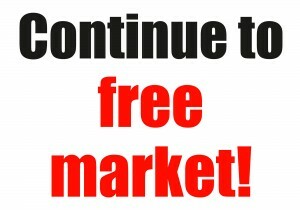 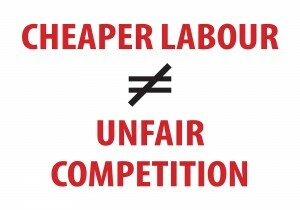 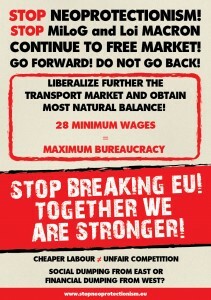 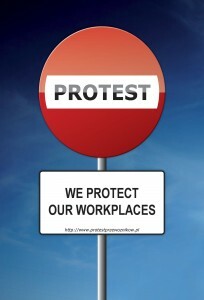 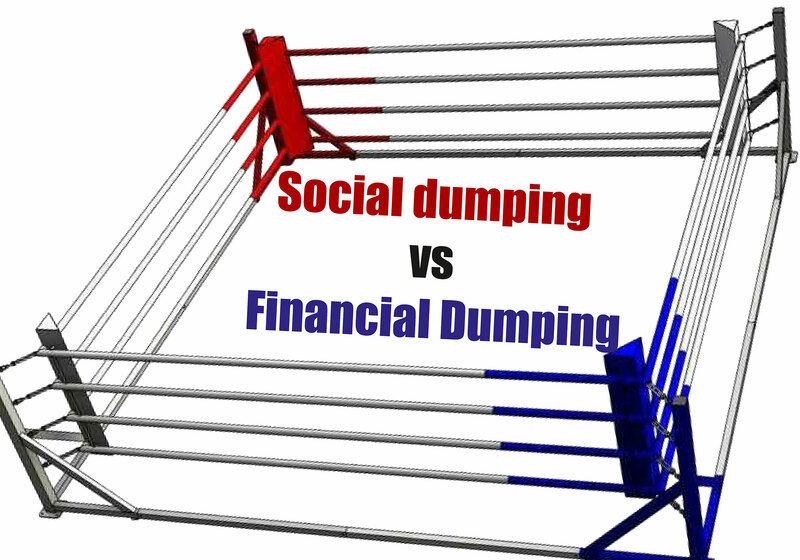 On that date, beginning with 15.00 hours, the European Parliament will have a plenary session to discuss about protectionism in EU – minimum rates of pay in the transport sector, including a Commission statement on compliance of the German provisions with European law on the minimum wage in the transport sector. 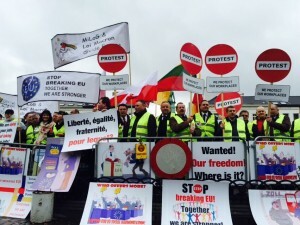 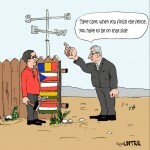 MKFE Hungary, ZMPD Poland and CESMAD Bohemia Czech Republic have announced that they will join the UNTRR’s protest organized on 25 March 2015 in Brussels.